President Donald J. Trump has found a staunch ally in Japanese Prime Minister Shinzo Abe, as the two appear to be lining up solidly against some sort of military action against North Korea in the near future if Pyongyang continues its nuclear weapons and ballistic missile development. 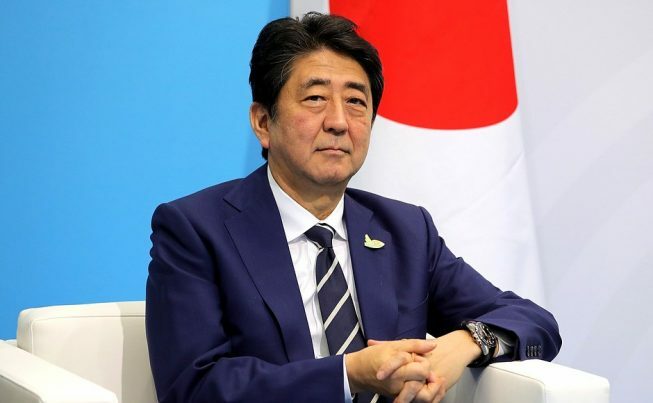 And while the alignment may not seem like much to many people, the fact that Japan’s leader is taking a much more aggressive stance against Pyongyang is a clear sign that the age of Japanese pacifism post World War II may be ending. If that’s the case, it will be a good thing because it comes at a time when regional tensions are ramping up — with North Korea, certainly, but also with a rising China, no friend of Tokyo’s. “I completely agreed with President Trump that we, too, have to take further action. We will proceed with concrete actions to heighten the system and capabilities for defense,” Abe told Japanese media. Following the call, Abe noted, “Japan and the United States have made efforts to resolve the North Korean issue peacefully, but North Korea has trampled down all those efforts. The international community, including China and Russia, must take this undeniable fact seriously and heighten pressure.” He further stated that additional military exercises between the U.S. and Japan may be undertaken to put additional pressure on Pyongyang to end its weapons development programs, something that North Korea experts don’t believe leader Kim Jong-un is prepared to do. Last week North Korea test-fired another Hwasong-14 missile, which followed a July 4 test of the same class of ICBM. Trump has consistently urged China to do more to reign in its neighbor; China is North Korea’s principal trading partner. China has responded by cutting off sales of fuel — gasoline and diesel, primarily — to Pyongyang, causing prices to soar. Earlier, Beijing said it had limited coal sales to the hermit Stalinist regime, all in a bid to convince Pyongyang to curb its programs. That said, Russia has stepped in to fill some of that void; in fact, trade between North Korea and Russia has surged 73 percent since the beginning of 2017, as Moscow seeks to exert more influence in the region. Japan’s new assertiveness, however, has not come without domestic reverberations. Following North Korea’s latest missile launch — the missile landed in the Sea of Japan, within that country’s Exclusive Economic Zone — three senior Japanese defense ministry officials resigned, including Defense Minister Tomomi Inada. She resigned after weeks of scandal involving Japan’s peacekeeping mission in South Sudan; the resignation was seen as a blow to Abe, as both take a hawkish view of Japan’s defense posture.